Shan Carter, a researcher at Google Brain, recently visited his daughter’s second-grade class with an unusual payload: an array of psychedelic pictures, filled with indistinct shapes and warped pinwheels of color. He passed them around the class, and was delighted when the students quickly deemed one of the blobs a dog ear. A group of 7-year-olds had just deciphered the inner visions of a neural network. Carter is among the researchers trying to pierce the “black box” of deep learning. 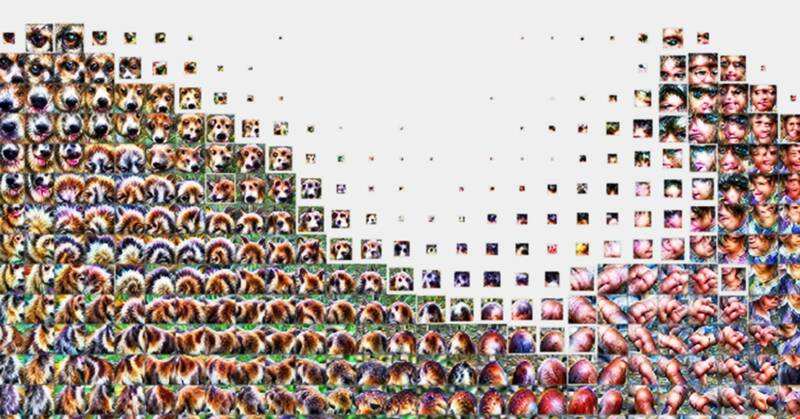 Neural networks have proven tremendously successful at tasks like identifying objects in images, but how they do so remains largely a mystery. Their inner workings are shielded from human eyes, buried in layers of computations, making it hard to diagnose errors or biases. On Wednesday, Carter’s team released a new paper that offers a peek inside, showing how a neural network builds and arranges visual concepts.